When it comes to prefab homes, there are so many practical and functional advantages. This type of architecture is not only much more budget-friendly, but it can be constructed in a much quicker time frame. There is also a lot more flexibility when it comes to where your home is positioned. What you may not know, however, is how much beauty and style exists when it comes to a prefab home. 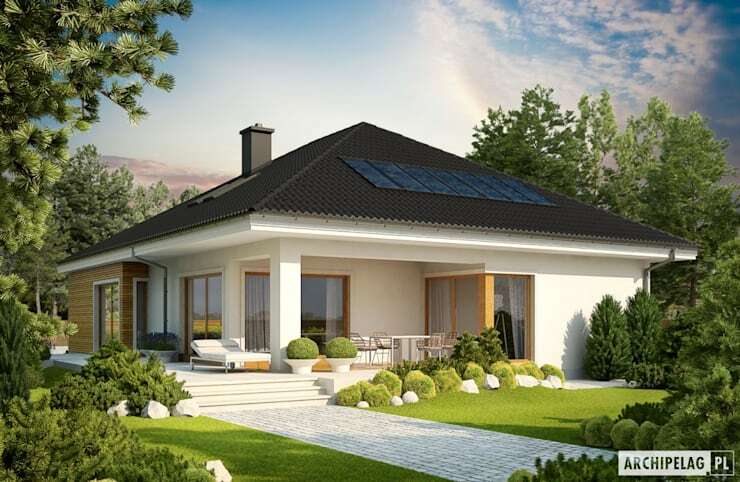 These types of structures can be put together according to your needs and desires, which means you can have your dream home built for you in a matter of months. Just in case you are not convinced, today at homify we have put together 10 prefabs that are perfect for a South African family (on a budget!) These will convince you that you don't have to spend a lot of money to have the most beautiful home for you and your family. 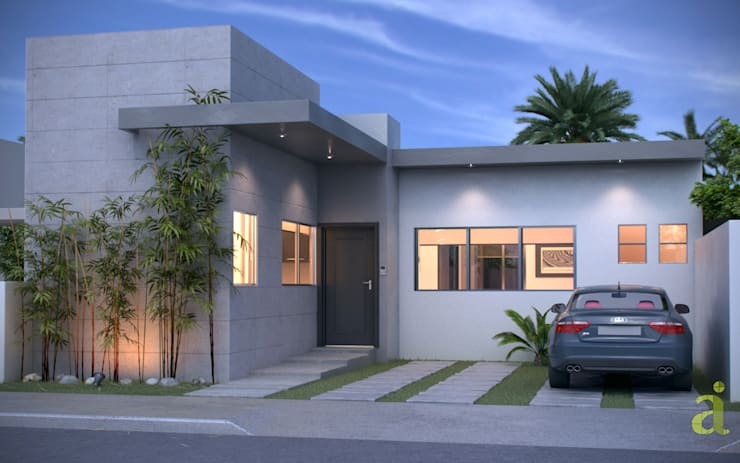 Designed by professionals ARQING, this elegant grey home is as sturdy as it is savvy. Often we think that prefab homes will lack quality, durability and strength, but this design proves us wrong! Don't you love the thick grey blocks that bring texture and tone to the one side of the home? 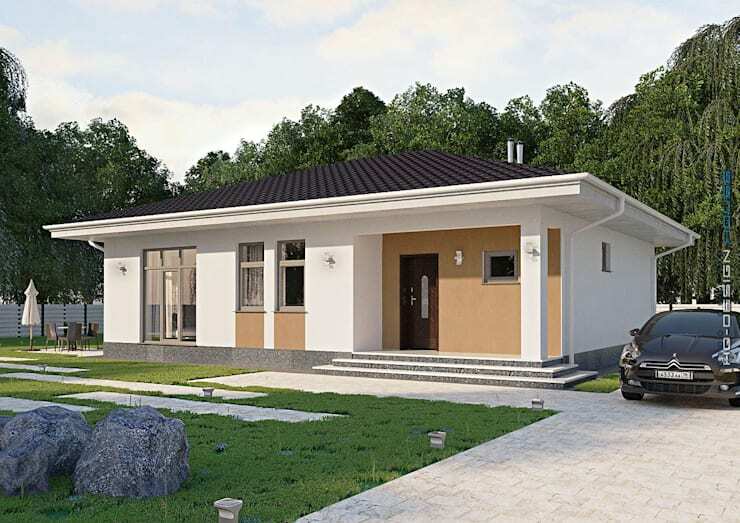 As we've mentioned before, one of the big advantages of a prefab home is that you have more flexibility when it comes to the position of your house. With the extraordinary South African views that exist, the world is your oyster! If a classic and more traditional type of house suits your family more, you can go for a design like this. The clean white walls, grey roof and light wooden finishes make for a very sweet and charming look and feel. This is further enhanced by the gorgeous front garden. 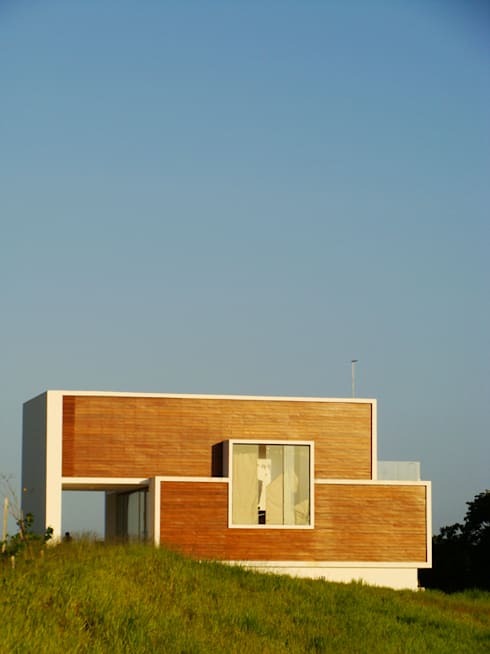 A prefab home really allows you to play with styles and designs and all on a shoe-string. 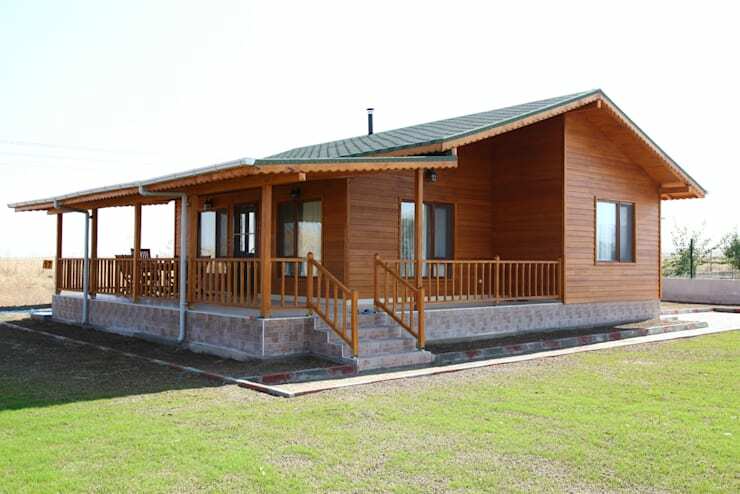 Wood is a wonderful material for a prefab home, because it allows you to bring a touch of rustic warmth to the design, while connecting it with the nature that surrounds it. If this type of home appeals to you, you'll love these 10 wooden houses that will make you yell wow! 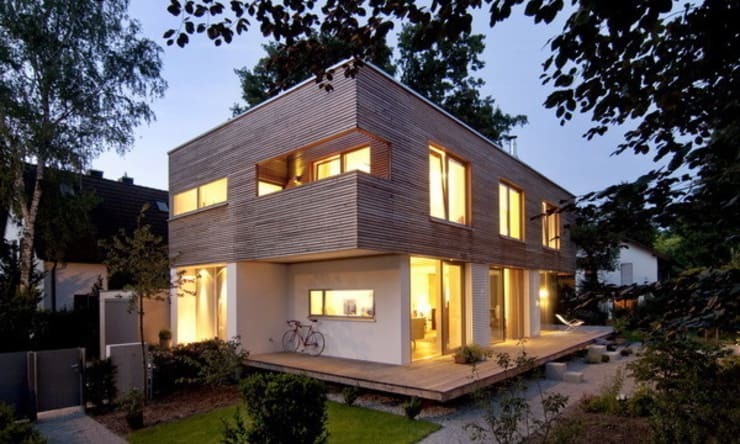 If you're looking for a more modern and contemporary wooden home, take inspiration from this very chic example. The designers have gone for a cube-shape design here, playing with space, shapes and volumes to create a truly remarkable home. 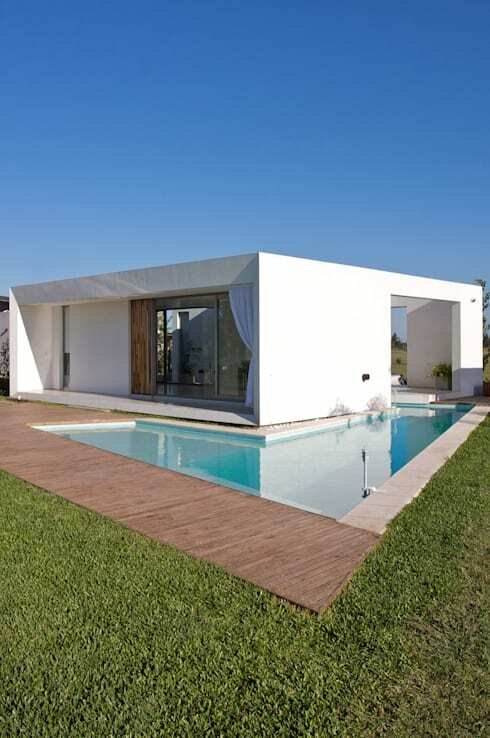 This minimalist prefab home is a fabulous example of cutting-edge design. Don't you love how the large glass windows extend across the entire facade, allowing the home to spill out onto a wooden terrace? 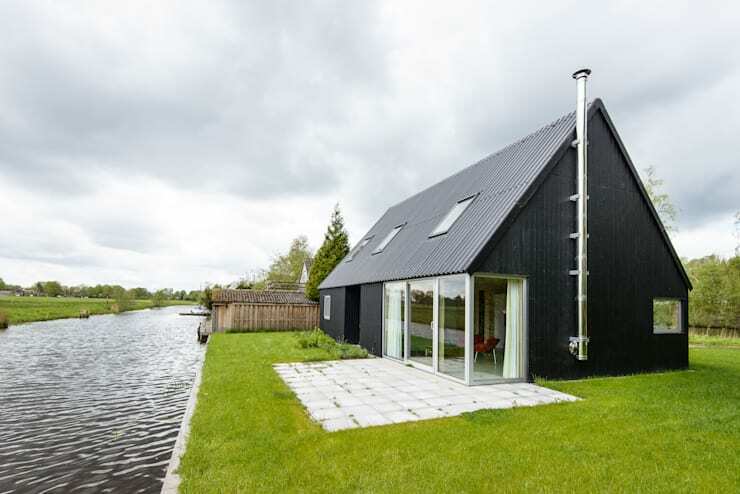 This little home proves that dynamite comes in small packages. The designers have mixed a very modern design with a rustic beige stone facade, which creates a stunning exterior look and feel. The gorgeous green garden enhances the beauty and trend. You don't have to go out of your comfort zone when it comes to a prefab home. Choose what works best for you. Simple can sometimes be the most sophisticated. All of the money that you save on a prefab home can be used to build a swimming pool in your back garden, creating a much more functional family home. Prefab homes come in so many different types and styles that you truly can afford to have a little bit of fun with the shape and structure. 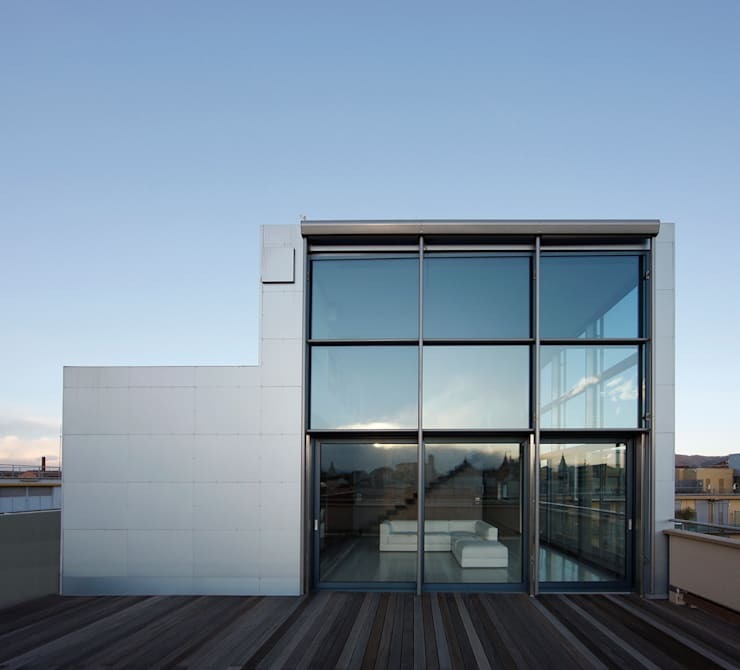 Don't you love how this double-storey design looks incredibly unique against the backdrop of blue sky? 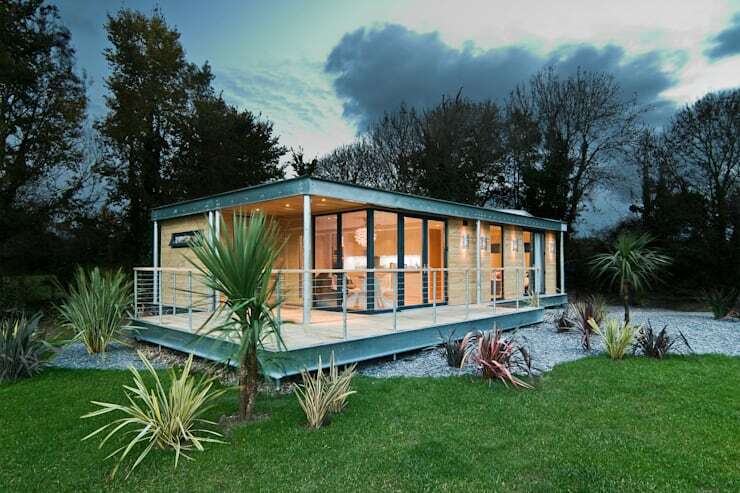 If you're thinking going prefab, have a look at these: Tips before buying a prefab home. Which prefab home is your favourite?